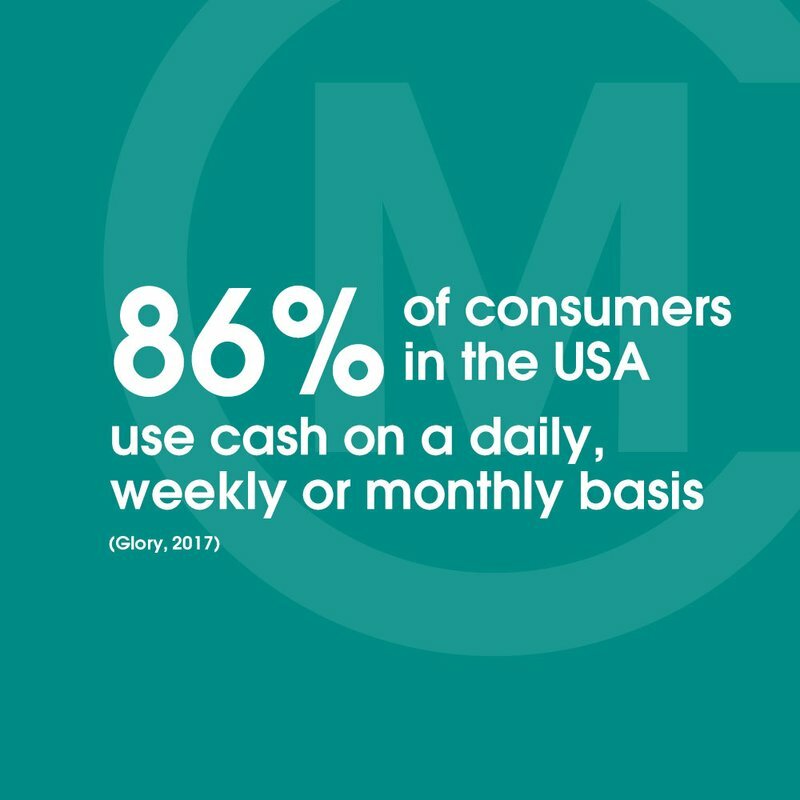 A study, titled Cash Connection (commissioned by Glory Global Solutions) found that when it comes to cash habits in the USA, 86% of consumers claimed to use cash on a daily, weekly or monthly basis. The research also looked at consumers in the UK and Australia and found that overall, 89% of consumers use cash on the same basis. Glory, one of the largest cash management systems suppliers presented a study on 'how consumers use cash and how it affects retailers' cash management strategies' (Glory 2017, 2).